This in-wall rated Cat6 cable is perfect for creating custom length network patch cables. 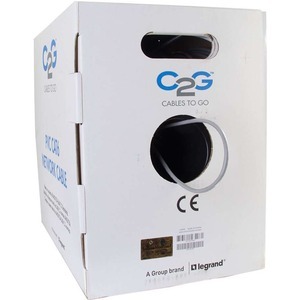 The stranded conductor construction makes this cable flexible and easy to work with, while the design of this box allow it to be easily dispensed. This cable is built to ANSI/TIA-568-C.2 standards and tested at frequencies up to 400MHz making it the ideal product for high performance transmissions. The jacket is foot marked allowing for easy determination of the amount of cable remaining.